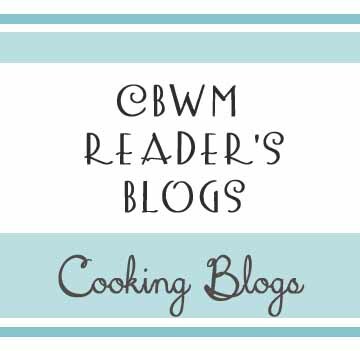 This is the place to share your cooking/recipe blogs. Leave a comment with a link to your blog. You can also leave a short summary of what your blog is all about if desired. I will move your link and info up into the main body of this post. My blog is kind of a combination of cooking and other activities like crafts, travel, money saving, etc. It’s called Robin’s Idea Book and can be found here at : www.robinsideabook.blogspot.com. I’m an information junkie and found a place to let it all out! Please stop by and visit! I have a blog devoted to healthy cooking for my family. I am a Chinese married to a Dane. Thus, my blog is about cross-cultural home-making. It includes recipes for healthy food from Chinese and western food, growing together in love in a cross-cultural marriage, Learning Chinese resources such as Tang Dynasty Poems, time and money saving, etc. It can be found here at: www.elainengfriis.blogspot.com. I don’t post every day, but I file my posts on one of those days. A blog full of recipes my familiy likes.